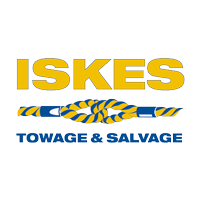 Sponsor: Iskes Towing & Salvage B.V.
Iskes Towage & Salvage is a privately owned towage company with a long history in professional towage. During the years Iskes has always taken a special pride in its tugboats and people. We value our customers and we stand for a professional service. Iskes is a growing towing company with highly committed staff and short lines. There is an informal atmosphere where getting and taking your own responsibility is important.